Matthew Macfadyen is an English actor and voice actor. Films: "Pride & Prejudice", "Death at a Funeral", "Frost/Nixon". He has been nominated for 2 Baftas (1 win), a Screen Actors Guild Award and a British Independent Film Award. His father was an oil executive and he was raised in a number of places, including Jakarta and Indonesia. He studied at the Royal Academy of Dramatic Art in London. He is married to actress Keeley Hawes and they have 3 children together (1 stepson). Matthew Macfadyen is a famous English actor, who was born on October 17, 1974. As a person born on this date, Matthew Macfadyen is listed in our database as the 6th most popular celebrity for the day (October 17) and the 38th most popular for the year (1974). People born on October 17 fall under the Zodiac sign of Libra, the Scales. 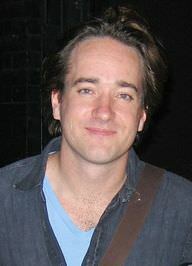 Matthew Macfadyen is the 163rd most popular Libra. Aside from information specific to Matthew Macfadyen's birthday, Matthew Macfadyen is the 190th most famous English. In general, Matthew Macfadyen ranks as the 2040th most popular famous person, and the 420th most popular actor of all time. “The Famous Birthdays” catalogs over 25,000 famous people, everyone from actors to singers to scientists to serial killers and more. If you're curious to see who was born on your birthday, you can use our database to find out who, what, where, when and why. You can search by birthday, birthplace, claim to fame or any other information by typing in the search box, or simply browse our site by selecting the month, the day, the horoscope, or any other clickable option.